We are a leading Supplier & Manufacturer of Water Quality such as Water Quality Analysis System, Waterproof Chlorine Meters and Dissolved Oxygen Meters from India. 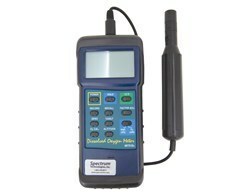 We are a leading firm offering Dissolved oxygen meter to the clients. It is best used for testing water, in labs, industrial and municipal waste water, aquariums, fish hatcheries, and environmental applications. 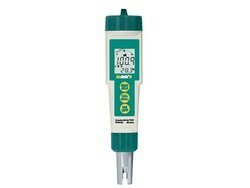 Displays dissolved oxygen, oxygen in air, and temperature. We offer rigid products that are quality oriented and tested strictly before reaching out to our clients who rely on us for the quality-based products.